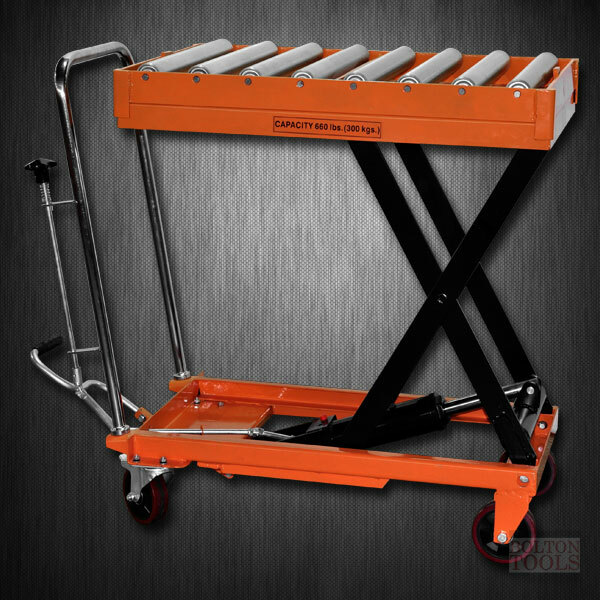 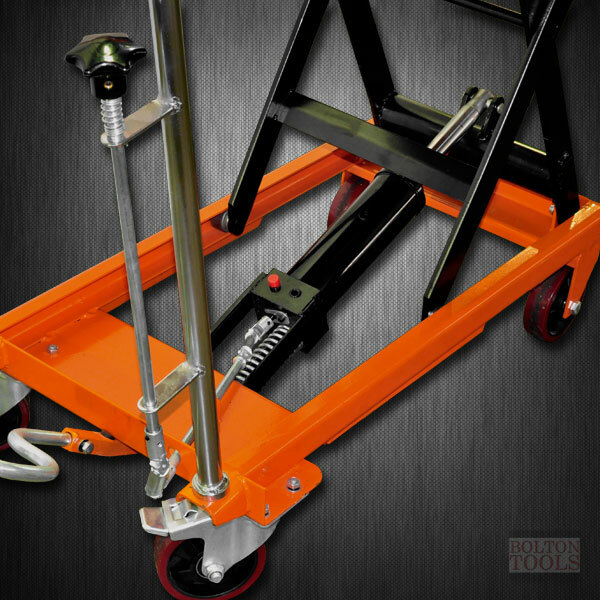 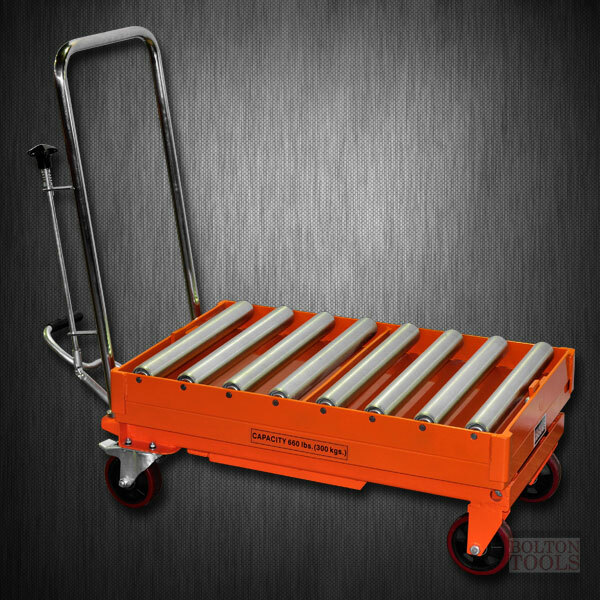 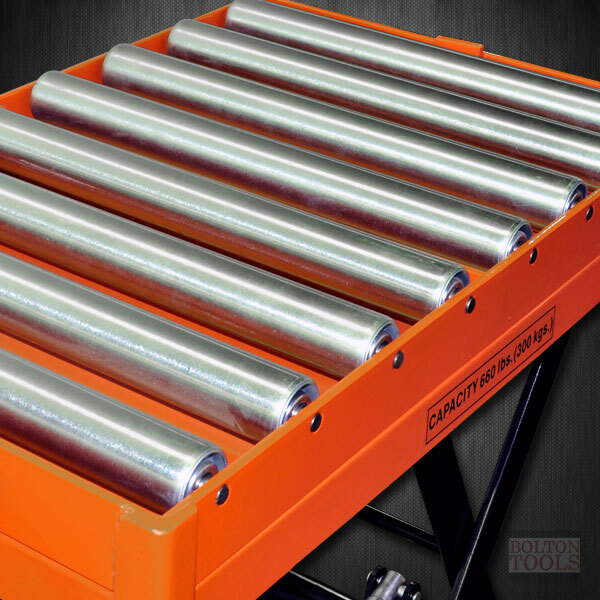 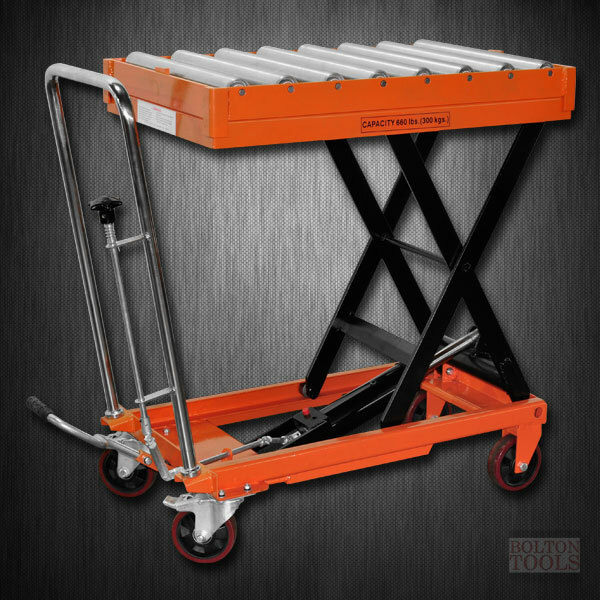 The Bolton Tools Hydraulic Lift Table with roller top has superior strength enough to lift and tilt up to 660 lb. 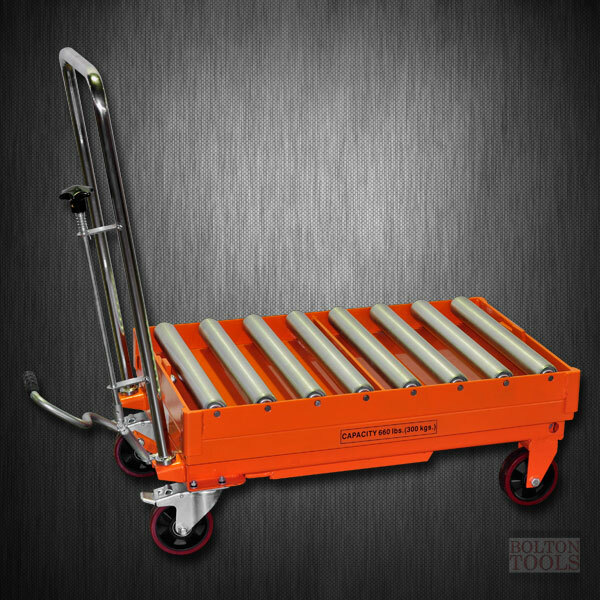 With the roller top, moving cargo becomes effortless. Packing Dimensions: US: 35.4" x 20.5" x 14.6"